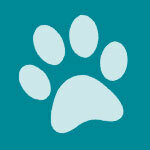 Lotus Pet Food, Inc. was established in 2003. They are located in Torrance, California where they make their own oven-baked and canned foods. They have an estimated annual revenue of about $570,000 per business reports. The company makes both dog and cat foods. Their foods include oven-baked kibbles, canned stews, and raw foods. 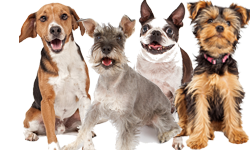 Products are sold through online retailers and at select specialty pet stores. Who Manufactures Lotus dog food? Lotus Pet Food owns their own pet food manufacturing facility in Torrance, California, and makes their own canned pet foods. They call it a micro-cannery. You can read a very informative article about how they make their canned foods on the Whole Dog Journal site here and here. Their oven-baked foods are made by a family-owned bakery in Canada. 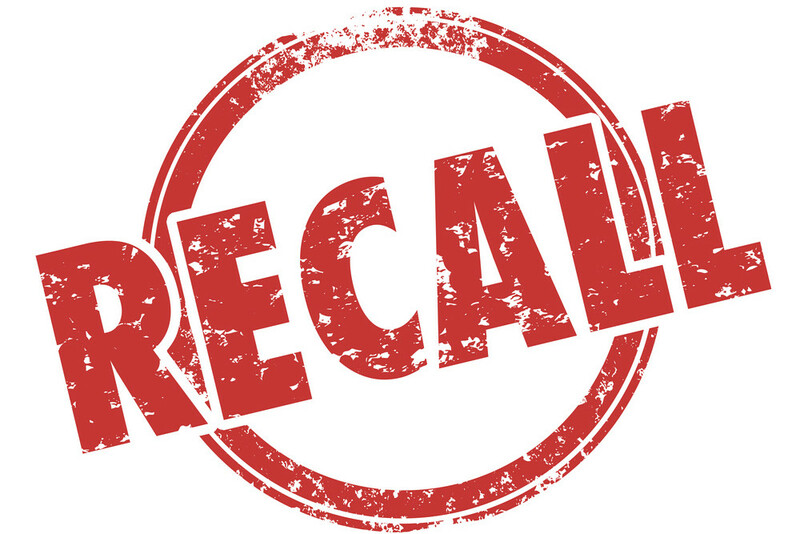 We don’t find any recalls for Lotus pet foods in the FDA database or any mention of the company when doing a search in the FDA files. You can sign up on the Lotus web site to get specials. 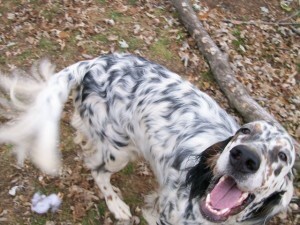 For coupons, check PetFoodTalk.com, PetFoodDirect.com, and DogFoodHowTo.com. 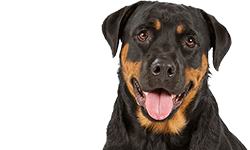 Pet food delivery web sites like Chewy.com often have discounts on the food or free shipping. Lotus describes their foods as wholesome and holistic. They use ingredients such as lamb and poultry, whole fruits and vegetables, barley and potatoes. They also use what they describe as a unique oil blend that contains lots of omega-3 and omega-6 fatty acids. Most of their ingredients are sourced in the U.S. or Canada. They obtain deboned lamb, lamb meal, and New Zealand Green Mussels from New Zealand. Lotus is ethyoxyquin-free. I hear many pet food companies say their food contains no soy. Will the soy oil in lotus cause an allergic reaction in my dog or cat? No, the soy oil is one of the oils in Lotus that supplies both linoleic acid (an omega 6 fatty acid) and alpha linolenic acid(an omega 3 fatty acid). It is not a protein like soybean meal which is often used as an inexpensive source of protein in some foods. Allergies are primarily caused by proteins, not fatty acids or oils. In fact, Lotus does not use any concentrated plant based proteins like soybean meal, potato protein, pea protein or rice protein concentrate, for that very reason. “The FDA exempts highly refined soybean oil from being labeled as an allergen. Studies show most individuals with a soy allergy can safely eat soy oil that has been highly refined (not cold-pressed, expeller-pressed or extruded soybean oil). If you are allergic to soy, ask your doctor whether or not you should avoid soy oil.” So, most dogs should be able to eat a food that contains soy oil, even if they have a soy allergy, but there is always a small chance that a dog could have a reaction to it. Just be mindful of this fact. If your dog has a problem with this food and he has a soy allergy, he could be reacting to the soy oil. Lotus makes six oven-baked kibble recipes. There are not many companies that make oven-baked dog food but we really like this method. Lotus has a good explanation about why oven-baking kibble is preferable to the extrusion method here. Basically, they can use more fresh meat, the food is more palatable, they don’t have to use added flavors or spray on fats, oven-baked kibble retains all of its vitamins while extruded foods lose their vitamins and have to have them added back in. And oven-baked food weighs more. Extruded pet food is “puffed.” It takes up a lot of space in the bag compared to the same size bag of oven-baked food. Lotus says that a 25-lb bag of their food contains about 20 more cups of kibble than an average bag of extruded dog food. Their oven-baked kibble recipes include Oven-Baked Chicken (Regular and Small Bites formulas), Oven-Baked Chicken for Puppies (Regular and Small Bites Formulas), Oven-Baked Chicken for Seniors, Oven-Baked Lamb, and two grain free recipes: Oven-Baked Grain Free Fish and Oven-Baked Grain Free Duck. Lotus provides nutritional profiles for these foods if you are interested. A word about calories. Since Lotus’s kibbles are baked, they contain more food per bag. They also have more calories than any other dog food we can recall. 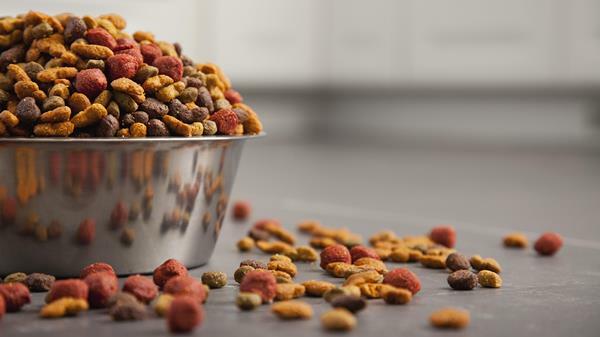 Most of their oven-baked kibbles have over 400 kcal/cup; and their Small Bites formulas for small dogs have between 600-700 calories per cup. This is twice the calories of most kibbles. If you are feeding your dog a Lotus oven-baked dog food, you seriously need to measure how much food you are feeding and watch your dog’s weight. Otherwise, we suspect your dog can become overweight very quickly eating this food. This is very dense, rich food, so do watch the calories. Most of the oven-baked kibbles are 24/12/4.5/10 in terms of protein, fat, fiber, and moisture. The puppy food has 27 percent protein, 16 percent fat, 4.5 percent fiber, and 10 percent moisture. The adult foods have AAFCO approval as maintenance dog foods. We do not see separate guaranteed analyses for the Small Bites formulas. Generally, when AAFCO approves one product line for a company, the entire line of foods has approval, so we will assume that is the case here with these oven-baked kibbles. The puppy formula has AAFCO approval for growth and maintenance. 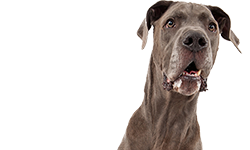 The senior dog formula is 18/8/4.5/10 for protein, fat, fiber, and moisture with added New Zealand green mussels, glucosomine, and chondroitin for joint health. 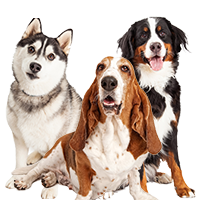 It’s always debatable how much these supplements actually help a dog when they are added to a dog food, but they would seem to have a better chance of staying viable when prepared with oven-baked food than with extruded pet food. The senior food also comes in regular and small bites. The regular formula has 389 kcal/cup and the small bites formula has 655 kcal/cup. The senior foods are AAFCO approved for adult maintenance. Lotus’s grain free formulas (fish and duck) are about 26/13/6-7/10 in terms of protein, fat, fiber, and moisture. That means the fiber is much higher than normal compared to most dog foods, including most grain free foods. The foods are approved for all life stages. These foods also come in regular and small bites. Regular has about 370 calories/cup while the small bites has about 640 calories per cup. Lotus also makes several canned stews – Turkey Stew, Chicken and Asparagus Stew, and Beef and Asparagus Stew. They may actually be better than most of us make at home for our families. They are AAFCO-approved for all life stages. Their canned stews do not contain carrageenan, guar gum, or xanthum which are often used as binders in canned foods, though since these are stews, it is less likely you would find a lot of gels or thickening agents in them. Thickening agents are most often found in loaf-style canned foods to help the food hold its shape. The stews do contain agar-agar, however, which is a jelly made from algae. It acts as a thickening agent. It seems to be viewed as a healthier gelling agent than the other gums and thickeners. Thickening agents are not necessariy harmful. Cornstarch and flour are thickeners, for example, and people cook with them all the time. Thickening agents are just that – they make a food thicker or help it hold its shape. They are widely used in human foods such as ice cream and other desserts, as well as sauces, dressings, and other foods. The stews contain 10 percent protein, 4 percent fat, 0.5 percent fiber, and 80 percent moisture. 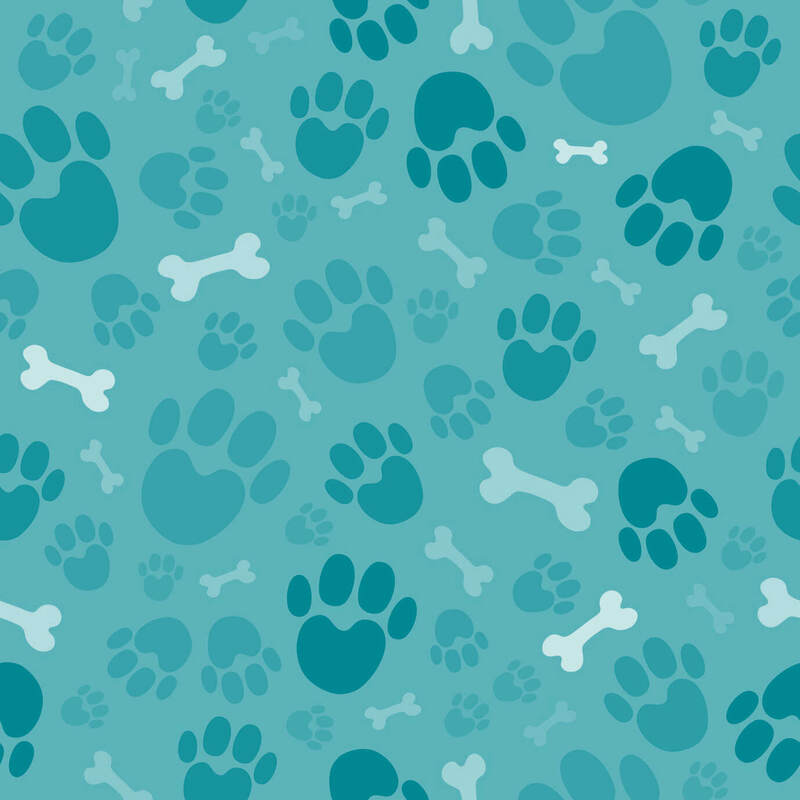 Dog food stews typically contain much more moisture than other canned pet foods. Calories for the stews range from about 340 to 420 for the 12.5 ounce cans. They also sell 5.5 ounce cans. Lotus also makes another canned food line called Just Juicy. They currently have two versions of this canned food: Just Juicy Beef Shank Stew for dogs and Just Juicy Pork Shoulder Stew for dogs. The guaranteed analysis is 15/5/1/74 for protein, fat, fiber, and moisture. The 12.5 ounce can has 416.2 kcal/can while the 5.5 ounce can has 166.2 kcal/can. The ingredients are heavy on the meat with broth and some added potato starch and tomato pomace for fiber, and some added vitamins and minerals. These canned foods are AAFCO-approved for all life stages. Beef, of course, is a good meat protein for dogs and so is pork. Lotus also makes a raw dog food called Lotus Raw Dog Food. This is a frozen raw food. We do not find an AAFCO statement for this food*, though there is a guaranteed analysis on the site. Percentages given for this raw food are 14/10/1/73 for protein, fat, fiber, and moisture. It has 1,510 kcal/kg. The food includes chicken, chicken livers, and organic fruits and vegetables. *We contacted Lotus to ask them about the AAFCO statement for this food but they did not respond. Overall, the Lotus foods look very good – good ingredients, good oven baking process. The calories are quite remarkable and they seem to come from good quality ingredients. There might be a figure here or there or one or two ingredients that might raise an eyebrow, but for the most part, these foods look exceptionally good. 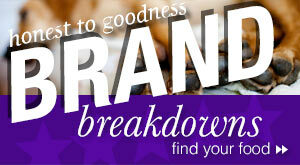 The web site is a little confusing at times, but we can forgive that if the foods are good. We usually review kibble just because it is more popular with most dog owners than other kinds of dog food but we also like to review raw and canned foods. Lotus’s canned foods look particularly good, especially after reading the Whole Dog Journal article about their canning process, so we’re reviewing their Chicken and Asparagus Stew for Dog. The first five ingredients in this food are Chicken, Chicken Broth, Potato Starch, Chopped Asparagus, and Chicken Fat. You might not add potato starch to your stew at home – you would probably use potatoes – but otherwise, these ingredients are much like what you would use if you were cooking for yourself. You probably know that chicken is a good meat protein for dogs. It’s about 60-80 percent protein, depending on the part of the chicken (breast meat, for example, is 80 percent protein). That leaves about 20 to 40 percent of the chicken as fat, without any carbs. It’s also a good source of vitamin B6, niacin, phosphorus, and selenium. Chicken also provides omega-6 fatty acid and glucosamine. The broth from the chicken is used as chicken broth in the canned food. Since this is a stew it is not unusual for it to have 80 percent moisture. The FDA provides a good discussion of allowable moisture content in canned foods on this page. The FDA makes the important point that consumers need to compare products on a dry matter basis in order to make meaningful comparisons. This means making a comparison with the moisture content removed so you can see how much protein and other nutrients the food has compared to another food. This allows you to compare a canned food to another canned food or to a kibble or raw food and get a real sense of how the foods compare in terms of nutrition for your dog. There are mathematical formulas to make these comparisons, or you can find an online calculator to help you do the comparison. We always provide the dry matter basis figures for a food (below) when we review it. The third ingredient in the food is potato starch. Potato starch is used as a thickener for sauces, stews, and soups. It’s often used in human foods instead of cornstarch because it can withstand higher temperatures. It contains minimal fat and protein. It has a neutral taste so it doesn’t change the taste of the dog food. Potato starch is also used in gluten-free recipes. The fourth ingredient is chopped asparagus. Asparagus is 40 percent protein, 40 percent carbohydrates, and 20 percent fat. It’s packed with vitamins and minerals like vitamins A, C, K, and E, and iron, magnesium, zinc, thiamin, riboflavin, niacin, folate, phosphorus, potassium, copper, manganese, and selenium. Plus, it’s a good dietary fiber. Asparagus is great and dogs usually love it. The fifth ingredient is chicken fat. This is a named fat, which is good. We would not be surprised if the chicken fat came from the chicken that is used in the food, like the chicken broth. Chicken fat is 100 percent fat but it is a good source of omega-3 and omega-6 fatty acid. Other ingredients of note in the food include blueberries and cranberries which are good antioxidants and a source of fiber; baby carrots which provide vitamin A, beta-carotene, and fiber; and chelated minerals which are more easily absorbed. 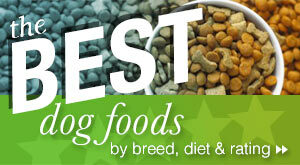 How would you rate Holistic Select Pet Food? We’ve already discussed the presence of agar-agar above in the overview. The food also contains salmon oil which is an excellent source of omega-3 fatty acid for your dog’s skin and coat, among other things. Most people believe that cold water marine sources of omega-3 fatty acid are the best ones. And it has olive oil which is high in vitamin E, vitamin K, and omega-3 and omega-6 fatty acids. The food also contains ground flax seed. Flax seed is a good source of omega-3 and omega-6 fatty acids. It is 12 percent protein, 66 percent fat, and 22 percent carbs. Flax seed is a good source of magnesium, phosphorus, and copper. It’s also a good source of thiamin and manganese. And it’s a good dietary fiber. However, it’s also a phytoestrogen which means that it can interfere with an animal’s hormones. This can be especially problematic if you are a dog breeder. In this case the flax seed is one of the later ingredients so there’s probably not enough of it in the food to cause a problem unless you have a very small dog. The food also contains a substance called Betaine. Betaine is an amino acid. It is more formally known as trimethylglycine. At one time it was studied for its potential to reduce the risk of heart disease. Now it is being used as a way to boost muscle protein synthesis in the body. In other words, it can help increase muscle mass and decrease fat in the body. Betaine is made in the body where it’s involved in liver function, cellular reproduction, and helping make carnitine. 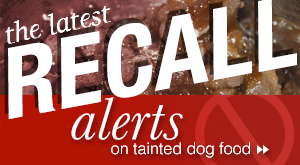 You may have seen carnitine or L-carnitine listed on a dog food label before. It helps turn fat into muscle and quite a few dog food companies have been adding it to their foods lately. So, Betaine is an amino acid that helps to make carnitine. This food contains 341 kcal/12.5 ounce can. That works out to 27.2 calories per ounce of food or 217.6 calories per 8 ounce cup. Lotus Wholesome Chicken & Asparagus Stew for Dogs is formulated to meet the nutritional levels established by the AAFCO (Association of American Feed Control Officials) Dog Food Nutrient Profiles for all life stages. The dry matter basis figures for this food are: 50 percent protein; 20 percent fat; 2.5 percent fiber; and 16.33 percent carbohydrates. As you can see, when you remove the moisture content from this stew, it is easy to compare it to a dry food. This food has a high protein percentage, which is not unusual for a canned food. The fat percentage is moderately high, but not especially high for a canned food. The fiber percentage is average for a canned food, though lower than most kibbles. The carbohydrate percentage is a little high compared to many canned foods but still very low compared to kibbles. Altogether, these numbers look very good. This looks like a very good canned dog food that most dogs would enjoy. Where can you buy Lotus dog food? 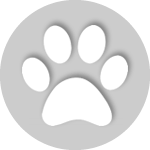 You can buy Lotus dog food online from pet food retailers and from specialty pet food stores. Check the Lotus web site for places to buy their food. We really like Lotus. Maybe not every food or every ingredient, but overall we think these look like great foods. We can’t recommend the raw food because of the missing AAFCO statement (and the lack of response from the company), but the other foods all look like they would be worth trying. I think my dogs would definitely like to try some of these foods in the near future. Very nice. Recommended. Something has recently changed worth their stews (pork, ckicken, beef). Excess water in yhe recipe, and the cans are often not sealed correctly (someone on Pet Food Advisor mentioned their can exploded from the gases and commented on the dangers of botulism). There doesn’t seem to be a way to directly contact the company on their website. So, I am discontinuing this brand. Too bad, my dogs love it. But I am not paying nearly 4.00 a can for water and the risk of botulism. As every batch is spot checked for seals, I believe they would be very interested to hear your experience.